Please be aware that this walkthrough is provided as a means of assistance to solving the game. 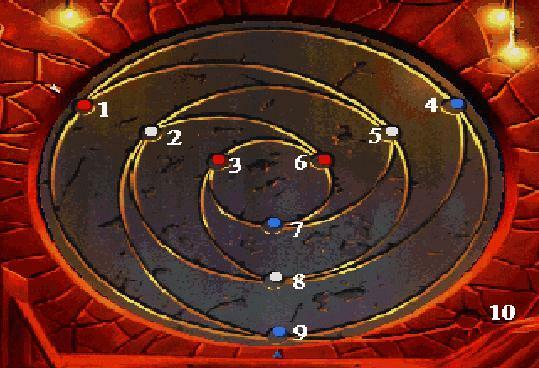 If you do not wish to be told how to finish the game, don't look at this page. This sections provides tip on understanding terms and notation used in this walkthrough. Many of the verbs used in the walkthrough tips are the actions available in the game's control pyramid. For instance, the tip "Get the bills on the table" means select the "Get" action from the pyramid and click on the bills. When a tip is referring to conversation with a game character, the order of the correct responses will be given. The responses are given as numbers that match those above the available choices of things to say given in the game. Select the appropriately numbered choice in the order given in the tip. Use silver coin and game begins - "Welcome to Noctropolis"
Game and you will be back at the door with the items.